Montezuma Castle National Monument, off Hwy 17, south of Sedona. The Verde River Valley was once home to the Southern Sinagua people, who are ancestral to the Hopi. They were farmers and made use of canals and irrigation. This settlement 100 feet above the Beaver Creek valley dates from around 1000 AD and peaked circa 1300-1400 AD. 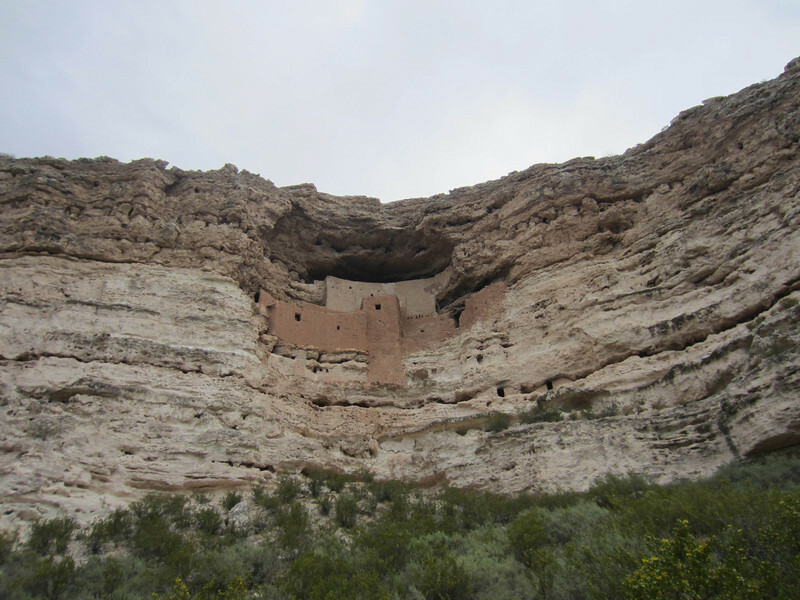 Mis-named Montezuma Castle because initially Europeans thought the Aztecs had built this and other sites in the SW. The castle was open to the public until 1958, when it was closed for conservation reasons.